Overcome your IoT implementation speed bumps with a Connect & Visualize Approach. Persistent Systems is a product engineering services company that has been in business for 25 years. Last week I sat down with Persistent Systems to gain some insight into some of the trends they’ve seen in enterprise IoT implementations, and to learn more about how their Connect & Visualize approach has helped customers bring IoT ideas to market faster. Question: Can you tell us how Persistent is evolving its existing operating model to address the needs of customers interested in IoT? The first pillar focuses on product engineering services or Services Unit – our traditional business model of outsourced product development focused on delivering services to the customer requirements. The second pillar includes the Digital Unit, which will build solutions for Enterprise Digital Transformation, helping customers transform themselves to become software-driven businesses and helping them respond to the changing environment and demands. The fourth pillar of business is the Products Unit. Over the years Persistent has acquired products from other companies, and, they’ve also built some of their own. In response to the demand in IoT implementations, Persistent is partnering with IBM on Watson IoT and Bluemix Platforms. Our goal is to go both independently, as well as with IBM to enterprises to build solutions leveraging Bluemix, Watson IoT Platforms, and related services. Within this new space, Persistent is offering a “Connect and Visualize” offering that accelerates a customer’s journey from IoT data capture to visualizing insights. The main intent is to enable customers to quickly connect and visualize their device/asset data to gain actionable insights from their data (IoT sensor data as well as enterprise and external sources). In this capacity, Persistent facilitates an engagement strategy called the “Flywheel” approach, that engages a customer in a rhythm of innovation to build purpose specific IoT applications. The approach allows connectivity and insight visualizations to be built on a tiered complexity model ranging from simple to complex. 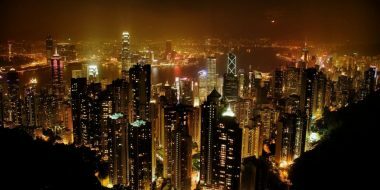 Comprised of teams organized in squads, the Persistent team essentially parachutes in to assist development organizations overcome common IoT speed bumps by recolonizing the use of improved analytics, as an important ROI driver for IoT implementations; and by creating visualization to use as an effective method of gaining insight and CXO buy-in for the larger transformational IoT projects. Question: In your view, what’s driving IoT implementations in organizations? One of the main drivers of IoT implementations is operational efficiency. While device data being collected would capture this information (e.g. types and volume of fault information), effective visualizations are necessary to identify the right areas to focus on. Organizations are able to generate greater value from their device data, by integrating it with enterprise and external data sources. Our offering would enable the business person/organization show effective ROI by allowing quick visualizations of trends and triggering preventative maintenance, or marketing promotions or engineering, manufacturing or supply chain change requests based on the insights. Question: Based on your IoT implementation experience, can you describe some of the common challenges organizations face when they are building out an IoT strategy or solution concept? IoT has been around for some time with certain key influencing factors causing IoT to drive digital disruption. These factors include (but are not limited to) pervasive connectivity, embedded sensors, cloud computing, advanced analytics, and are responsible for transforming businesses of all kinds by building better customer/client experiences (in terms of smart connected homes/cars), delivering better outcomes (smart appliances/improved retail), creating new products/business models (energy/fintech/smart hospitals) and improving operations/lowering costs (industry 4.0/predictive maintenance). An IoT strategy would be key to most Enterprise Digital Transformations, in one way or another. While most IoT implementations generate a large amount of data, it is a challenge to realize potential benefits due to lack of ready made analytics. It is not sufficient to show visualizations only on the data being generated from devices/gateways. It is essential to show insights on that data in the visualizations. Also, integrating the device data with data from additional sources (enterprise/3rd party), makes that data richer for consumption and actionable in many scenarios. Question: What role do you see analytics playing in IoT implementations? Analytics is an essential part of any IoT solution. In addition to performing the necessary aggregations of the data, it is also essential to build the necessary visualizations to make sense of the data being aggregated. The main aim of this solution is to enable customers to easily visualize the data in multiple ways including getting usage, fault and sentiment patterns of a large number of connected devices, identifying trends across various time ranges. This is being targeted for multiple verticals and multiple personas within each vertical so that insights relevant to the marketing, manager, engineering manager, field service team, operations team, and the C-suite in that domain can be surfaced. For most IoT solutions, device data is very useful to understand how the connected devices are actually working in the field. However, to understand the ‘why’ (reasons behind) of the implementation, it is usually required to integrate with external data sources (e.g. weather). This helps the implementations realize true value. This is possible with quick visualizations that allows customers to understand their device data in conjunction with external/enterprise data sources. 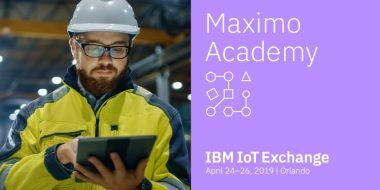 IBM Watson IoT Platform allows customers to build enterprise scale IoT solutions by providing a highly secure, scalable and open platform that can be used to connect devices and gateways. The IoT platform is part of IBM’s Cloud and Bluemix, will allows enterprises to build cloud-scale applications and analytics for large number of IoT solutions. In addition, it enables integration with cognitive services from Watson, Real-Time Insights and other enterprise solutions (Enterprise Asset Management, Enterprise Facilities Management). Question: Can you tell me a little more about the Connect & Visualize approach? Complex (Integration of Device Data with Enterprise and External Data Sources with visual elements depicting Usage, Trends and Rules). For a limited time, we are also offering a “Promo” tier that will help “qualified” customers who sign on and are categorized by us in the “Simple” category to connect 30 devices in 30 days for a promotional price. Question: What is the principle benefit of using the Connect & Visualize approach? 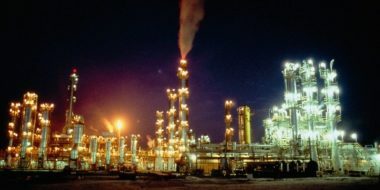 The availability of this solution offering enables a customer who is leading the charge on a new IoT initiative to accelerate their effort to connect their assets and showcase data driven insights to their stake holders to get buy-in for the broader IoT lead transformation initiative they maybe championing. There are multiple use-cases for IoT implementations that can be more effective, with useful visualizations. For example, quick dashboards for engineering managers/marketing managers to understand failure/usage patterns of their connected appliances, assist support technicians with performance history, fine tune marketing campaigns based on usage data as well as pro-actively arrest problem situations in the field with continuous engineering etc. All of these represent business value that the stakeholders can showcase to their C-Suite. For a business user, the offering helps to quickly realize ROI on all the device data that is being collected. Also, allowing him to integrate the data with multiple sources, allows him to gain valuable insight into how to improve operational efficiencies. For the development manager who might be struggling to increase development velocity for their transformation projects, the approach can help them to get the building blocks of connectivity and data integration in place and focus on showcasing the right business value to their line of business VPs and C-suite. For example, when charged with an IoT assignment a development manager has to look to assign a) someone who ramps up on Watson IoT (Node-RED, RTI, Cloudant, etc. ), b) someone who can perform data integration to other enterprise sources and map the analysed insights to appropriate front end APIs, and c) someone who can build the front end user experience in addition to an overall architect/lead playing the product owner role. The approach we are proposing is a great way for a development manager to get a “squad” with the experience and knowledge to build such a solution by either consulting with their team or even being their team, to let their teams focus more on the business value and core product areas that they have core expertise on. Question: Are there any use cases, or real examples you can share with readers today? Persistent Systems has deep experience with building visualizations for different verticals (ShareInsights for Analytics, GenWI for Digital Experiences). We intend to leverage our experience to build visualizations for IoT implementations for customers. Also, using these frameworks, allows us to build interfaces for different front-ends (UI, iOS, Android) quickly. Dashboards for Marketing Managers/Engineering Manger to understand usage patterns of connected devices. Also, includes charts and maps to drill deeper into the data. Integrated with ERP data to slice & dice data to understand insights about users. Also, dashboards are integrated with Twitter sentiment to understand how well products are doing in the field. Dashboards for Engineering Manager help understand device usage/fault information to build the next generation of devices. 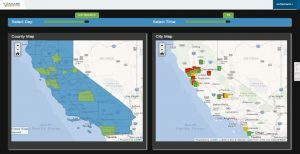 Dashboards for Building Managers to understand building health at a quick glance. Initially, this use case was focused on Smart Washrooms, by retrieving sensor data from Smart Dispensers and ModCam for people counters. In addition, this sensor data was used to invoke work orders in TRIRIGA for alerts. Also, provided Analytics based on historical data. 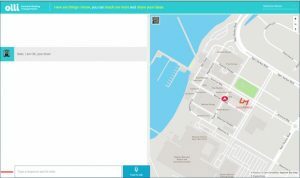 The example shows facilities monitoring in the smart building space where we have helped build an airport facilities tracking app using sensors that track the count of people going in and out of a washroom and sensors that track the level of consumables like soap and paper in the washroom to feed into Watson IoT and TRIRIGA as well as read from TRIRIGA to generate meaningful actionable insights. Common area garbage bin monitoring, where we have created an Intel Arduino based depth sensor connected to Watson IoT to trigger workflows and insights. Where we have leveraged Watson Speech and natural language processing capabilities in the context of a hospital bedside connected product to enable the patient to control their hospital experience or the passenger of an autonomous bus to interact with the vehicle. You can view two use case examples now. Question: Are these solutions scalable, affordable and secure? The visualizations for the IoT implementations are built on IBM Bluemix itself. Using Node.js runtimes and Cloudant DBs, allows us to scale based on customer workloads. Also, the operational costs would scale based on required workload due to Pay-as-you-Go model of these runtimes/services. Question: How can development managers learn more about the Connect & Visualize approach? We can show demos to prospects and engage them in workshops, if required. Also the promotional offerings are designed to encourage the customer to try out the offering at very low barrier to entry. Based on an interview with Jaidev Karanth, Technology Head, IBM Alliance, Persistent Systems Inc.(jaidev_karanth@persistent.com) and Neeraj Sinha, SVP Business Development, Persistent Systems Inc. (neeraj_sinha@persistent.com). You can keep abreast of Persistent System’s activities by following them on Twitter @Persistentsys, or learn more about the 30 Devices in 30 Days promotion.